It's not often that you can walk into a local pub and find the actual brewery inside the main lounge. Well, that was one experience I was certainly not expecting when I visited the newly opened Brewhouse & Kitchen pub in the centre of Lichfield in Staffordshire. 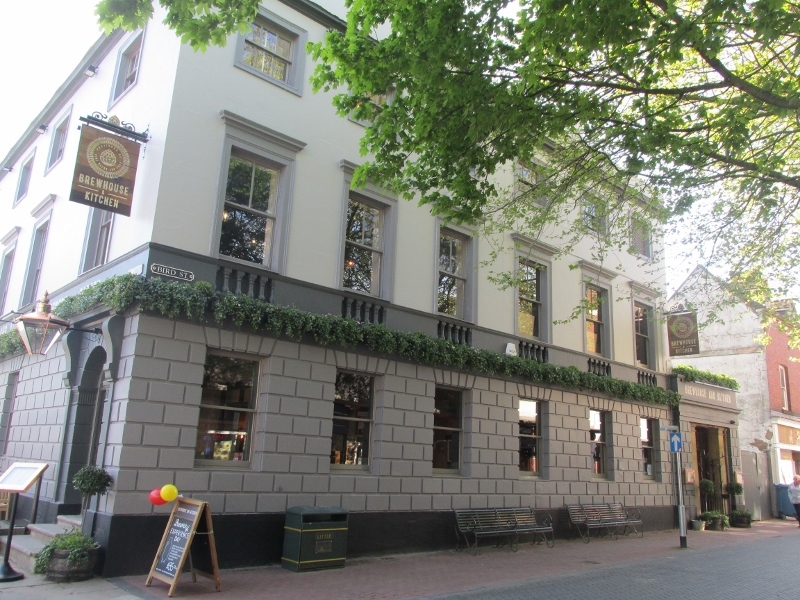 In fact, the Brewhouse & Kitchen, which now has 16 pubs dotted around the country, had only opened its doors to the public of Lichfield two days earlier. 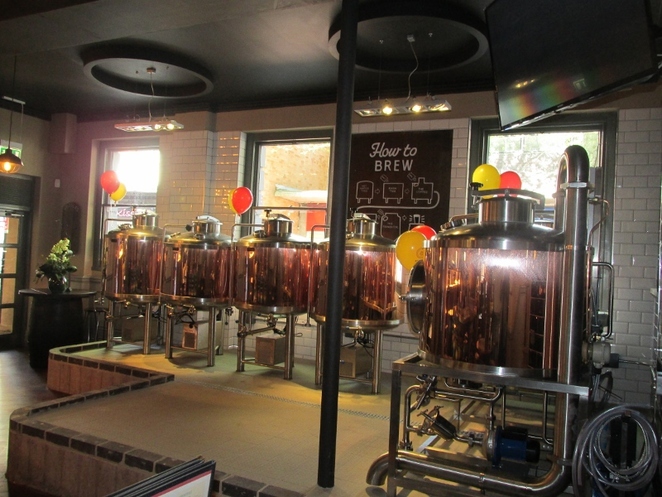 The reason for my visit to this innovative brewpub was the official launch party and the prospect of a beer tasting session - more of that later. 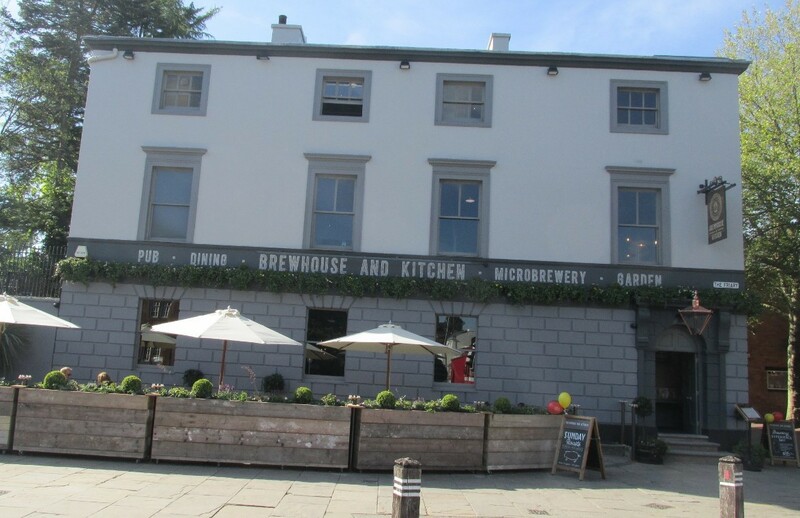 The Brewhouse & Kitchen was formerly The Gatehouse pub situated at the corner of Bird Street and The Friary in Lichfield. And it is a tribute to the brewery, and its resident Lichfield head brewer, Tom Guy, that one of the unique ales he has created solely for Staffordshire drinkers is called Gatehouse. Prior to that, the pub was formerly Lloyds No.1 bar and, before then, a longstanding bank. The Gatehouse, which has been closed for some months during the extensive renovations that followed its acquisition, was so named because it literally provided the gatehouse to a former Franciscan friary which was situated next door, remnants of which can still be seen. The monks may have long gone from the site, but a similar warm welcome is still on offer at the new Brewhouse & Kitchen pub. And, when it's time to leave the pub, you can continue to drink at home by buying either a five-litre mini keg or a two-litre 'growler' containing your favourite beer. The brewery proclaims that they are a bit different from your traditional pub by brewing their own, unique craft beers on-site in their own microbrewery. And that is evident the moment you walk inside the Brewhouse & Kitchen in Lichfield as the actual brewery cannot be missed. 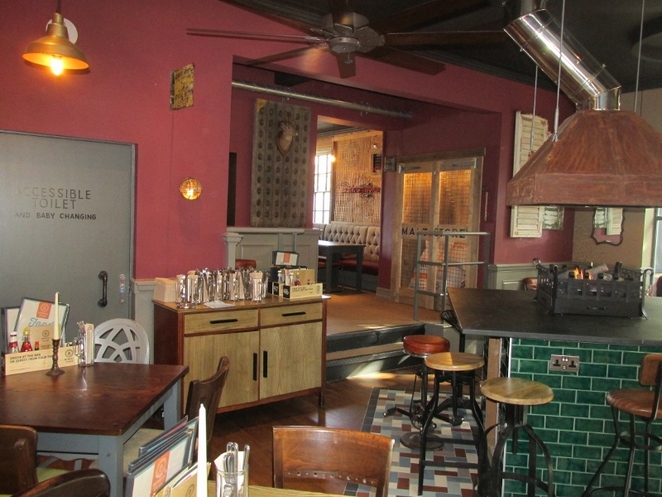 The pub, which provides an American-style menu, even uses beer in many of the recipes it has to offer with dishes including fish and chips, burgers, all-day breakfasts, steaks, and hot dogs. But it was the craft beers that persuaded me to visit during the first week of its opening, particularly the ones that are brewed on site, including American style ales. And that brings me back to the beer tasting session! The Brewhouse & Kitchen, which brews a range of core and seasonal beers on site, offers customers 'brewery experience days', where you can make your own beer under the supervision of Head Brewer Tom, as well as beer sampling sessions called 'beer masterclasses'. 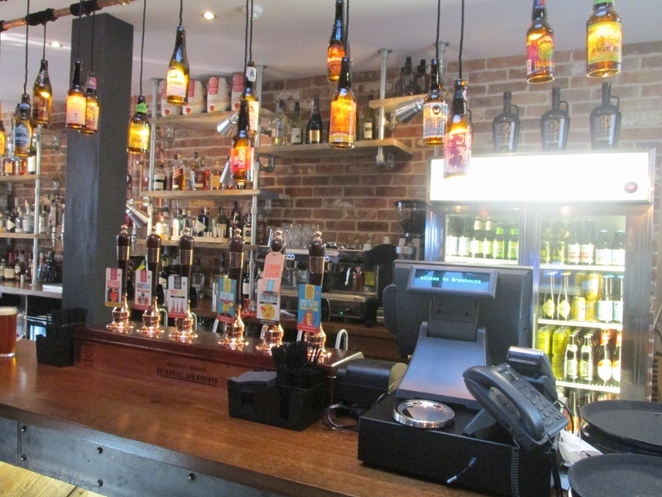 The masterclasses, which cost from £20 per person, normally involve eight different beer samples, some brewed on site and the rest being guest ales which remain in the pub for a few weeks at a time. 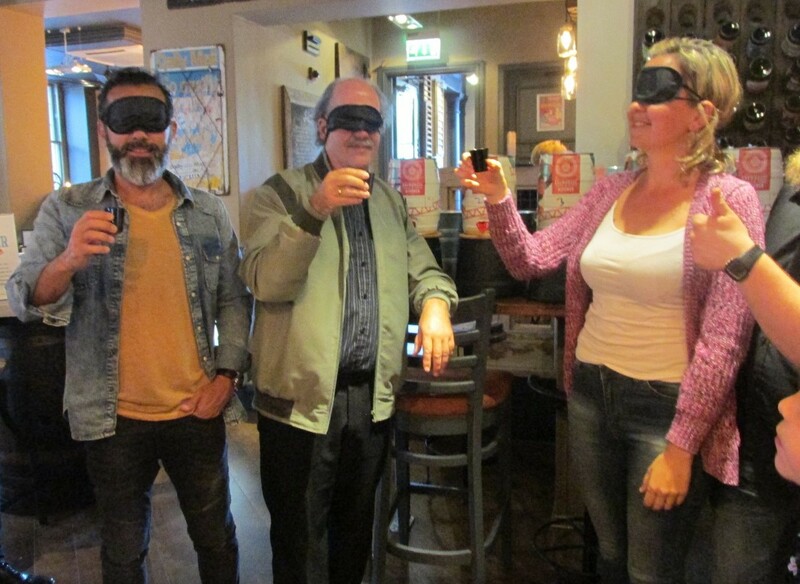 After my masterclass, which was confined to just five beers, I was invited to take a blindfold tasting. And I am proud to say I scored 5 out of 5, ranging from the Gatehouse and the much stronger Handy Man traditional IPA to the very dark Dyott's Shot, described as a black IPA. Other seasonal beers due to become available over the summer, autumn and winter range from a wheat beer and cask pils to a historic porter and a smoked stout. Plenty of reason to go back then! There's a few of these in London - great spots to go to!